Get your document translated with the most reliable and leading NAATI accredited Malay translation services in Brisbane and Queensland. Brisbane Translation provides affordable and high-quality Malay translation services. If you’re looking for a NAATI certified Malay translator, our translators can help. We provide Malay to English and English to Malay translation services for all your needs. For visa applications, job applications, university applications and migration purposes, our fast Malay translation services got your back in producing NAATI translations that are accepted by most Australian authorities. We’ve translated thousands of documents for hundreds of satisfied clients for many years. Our Malay translators work fast and strictly follow deadlines no matter the document size. Your documents are handled by the most qualified NAATI certified translators who have undergone a series of rigorous training to produce a quality Malay translation. Our project managers review and ensure your projects are delivered at the best quality that meets high standards of translation. 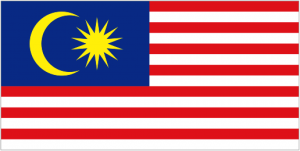 Get high-quality Malay translation services at the lowest possible rates in Brisbane. Receive a free quote when you upload your documents using our online form. Our customer service representatives are available 24/7 to answer all of your queries. Our staffs will communicate with you directly to make sure that we meet your requirements and needs. You don’t have to worry about confidential documents. We provide secure Malay to English translations for your sensitive files. Brisbane Translation offers competitive prices that won’t break the bank. Starting at $69, our Japanese translation services vary depending on the document’s length, complexity and deadline. To get a free quote, simply fill in the enquiry form and receive a firm quote via email within 15 minutes! Yes. It’s that fast. For the Standard Malay translation services, our translators can finish a translation in 2 to 3 days. However, if you need your Malay translations sooner, you may opt for our Instant and Express Malay translation services. Let us know your deadline, and we will deliver. You did the right thing by choosing the best. To start your Malay document translation, start by filling in the online form on this page and upload a clear photo or scan of your document. In 15 minutes, we will email you a detailed estimate absolutely free! Next, complete the required payment via credit card, bank transfer or PayPal, and we will start the translation process. When the translation is finished, we will email you a draft of the translation for your review and approval. Once approved, you will be provided with the soft copy via email and a hard copy via post. The Old Malay is the oldest form of the Malay language. It was heavily influenced by Sanskrit and is different from the Malay language used today. You can form new words in Malay by simply attaching affixes on words. Rumi, a Latin alphabet, is used in writing Malay. This writing form is the official script of Malaysia and Singapore. Incredible turn around. Amazing service. Accurate translation.